More precisely, the case study considered in this report concerns the investigation of a business regarding a soap manufacturer. 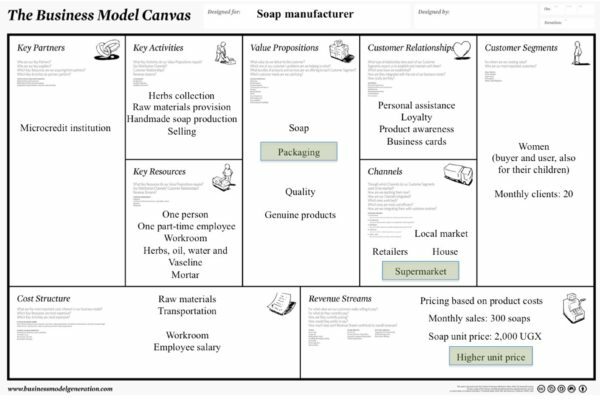 The business model canvas reported in Fig. 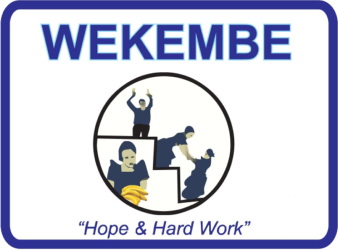 1 represents the definition of a business, which has been realised by starting from the analysis of data concerning this specific successful business, managed by Imelda Sebutemba. The aim of this business model canvas consists in defining and describing the successful factors characterising a soap manufacturing business, undertaken by a person working 8 hours per day to fully satisfy clients demand and reaching at least monthly revenues for 600,000 Ugandan schillings and profits for 160,000 Ugandan schillings in a normal month. The manufacturer learnt how to develop the craft in few days and she would be glad to teach it to interested people and promising entrepreneurs. Women, who care especially about their own health and their children’s, compose the customer segment targeted for this business. In fact, they can be considered the buyers of the products, because they purchase soaps also for their kids, which on the contrary are considered only users and not buyers. 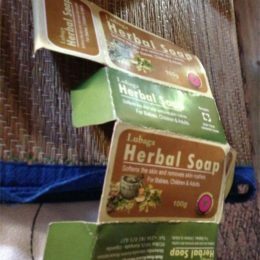 Women purchasing this specific natural soap are particularly interested in using genuine and natural products, different from soaps sold in supermarkets, which are made of chemical elements not suitable for the care of children hygiene. This business records about 20 clients each month, who purchase these handmade soaps. The main relevant offered product consists in a genuine soap, hand-made produced by adopting a natural process and the exploitation of 5 different wild herbs, as displayed in Fig.2. Women look for this specific product to benefit from the offered value delivered by this soap. Especially, it has gained credibility for its high quality and the adoption of just natural elements such as wild herbs, water, oil and Vaseline. 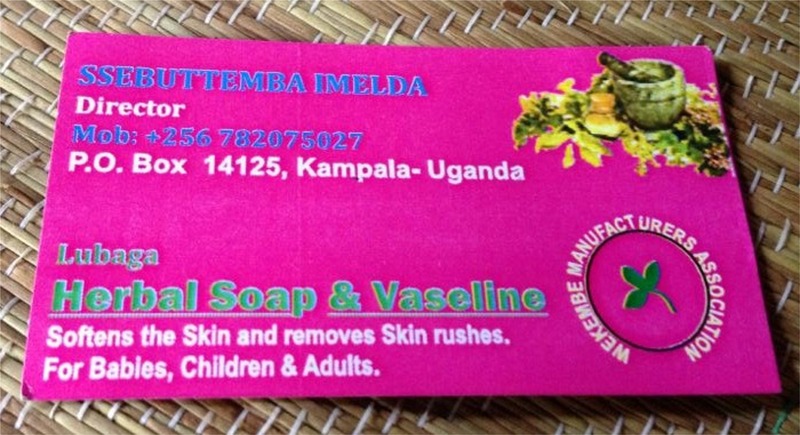 The manufacturer, who sells her products in local markets, uses simple cellophane wrappers to protect soaps. This modest protection is adequate for clients, who just visit the market and bring soaps to their own houses, without experiencing the necessity to protect more their purchases. On the contrary, if products were sold at supermarkets, they would require a more durable and attractive packaging. In fact, the manufacturer, who is evaluating the idea to also adopt this distribution channel, is projecting a specific wrapper to protect soaps. The adoption of different channels imposes the implementation of specific devices, in order to face with the different characteristics concerning these networks. 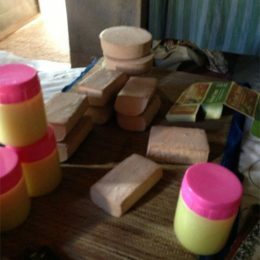 The entrepreneur might consider the opportunity to offer some complementary products to sell due to the time required to produce the soap. In fact, it takes about one week to complete the process and during this period she might employ her time to produce manually other goods or resell matching goods. 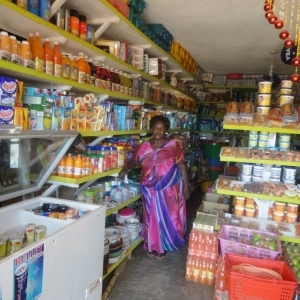 The entrepreneur visits local markets each week in order to sell her products and this is considered the main channel used to deliver products. Due to frequent local market displacements, consumers have difficulties to know selling dates and buy homemade soaps. In fact, she would open a shop to allow people to visit her whenever they need although it is an excessive investment for her. Therefore, another potential channel she might exploit to sell products is her house, more precisely the same building where she produces. 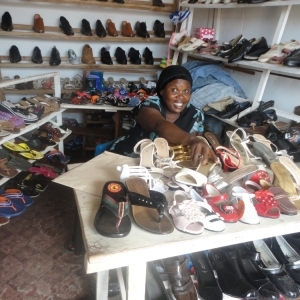 In fact, she might start selling at her workroom, in order to increase the opportunities of purchase for clients. Another channel the manufacturer adopts is the retailer channel, whose demand is at least more than 10 units each order; for the producer is better to receive a call to order these quantities in advance, due to the not instantaneous production process. The entrepreneur might evaluate the opportunity to enter the supermarkets with her products, in order to increase clients’ awareness about them and improve profits. As shown in Fig. 3, this choice requires the adoption of a specific packaging to protect soaps and the acquisition of a new machine to automate the production and realise greater quantities of goods. 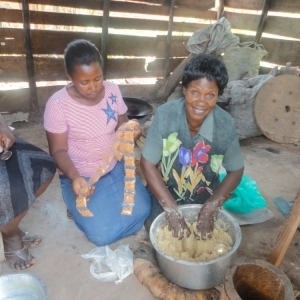 This chance allows her to take advantage of profitable opportunities, but previously she has to develop the packaging prototype and find resources to dispose a machinery to make further soaps with different shapes. The adoptions of the local market as the main channel to sell products lets the entrepreneur keep a personal relationship with clients. This typology of assistance allows customers to benefit from a more informal and careful delivered service. This relationship strengths the loyalty of clients and promotes a good product awareness, which stimulates a positive word of mouth. In order to foster the business among clients and potential consumers, the manufacturer distributes business cards at local markets and in areas close to her house. In Fig. 4, a business card concerning the business is shown. These cards allow increase the visibility of the business, in order to overcome the trouble people has to find her. Despite this weakness, this business benefits from a good number of clients. They personally look for these high quality products, which are the only ones offered and resold in the area. The lack of competitors presupposes the presence of a high potential market in terms of purchases and this needs to be exploited by increasing the presence in the area and the distribution through supermarkets. The typology of offered products characterises a repeated purchase from clients, even if they are not so frequent due to the big shape of soap and its low level of wear. 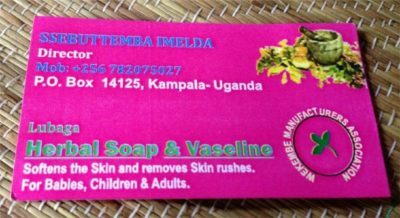 Considering the local market as the main distribution channel, the unit price for soap is 2,000 Ugandan schillings. The unit price of soap is established on the basis of product costs necessary to support during the production. Each week, the sold soaps in average are 75, which in the whole month result to be about 300 sold pieces and with a daily average purchase of 3 pieces. 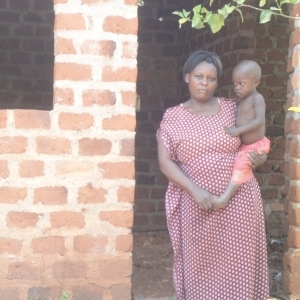 Due to these data, the total monthly revenues she collects are about 600,000 Ugandan schillings. 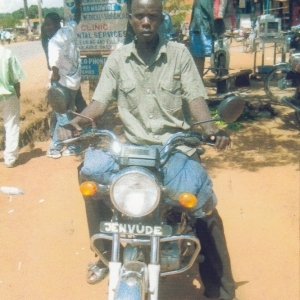 By deducting total monthly costs, the rough monthly profit resulting from this business is 200,000 Uganda schillings. On the other side, by considering the possibility to sell through supermarkets, the unit price for soap might be higher and ensure incremental profits each month. Key resources are necessary to let the business work. The presence of the manufacturer is essential to start the business, because the continuity of the activity is mainly ensured by the full presence of the entrepreneur. Moreover, the collaboration of another part-time employee is required to collect wild herbs and ensure their availability for the monthly production. Raw materials are the essential elements to produce natural soaps. Among these elements it is possible to identify 5 different local wild herbs with healing properties, water, oil and Vaseline. The manufacturer employs one part-time collaborator to collect these herbs, because of their lack of availability in the neighbourhood and the specific required typology. No chemical elements are added during the production process, in order to ensure the genuineness of offered goods. Facilities are also necessary to support the production process. The manufacturer needs a workroom, also obtainable inside the house, with the provision of a mortar to press herbs, a bucket to mix all the elements and moulds above which it is necessary to deposit soap until its drying. The producer may invest approximately 2,5 million Ugandan schillings to buy a new machinery to increase the production and make soaps with different shapes, in order to be more attractive on the market. This amount of investment is too high and instead investing money for that, she could also open a shop in a busier area. The initial investment required to dispose of all the instruments to start the business consists of about 5 million Ugandan schillings. 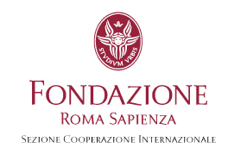 This soap manufacturing business does not require the presence of specific partners, but the most relevant one consists in microcredit institutions, which supports the manufacturer with granted loans. The first most relevant activity to let the business work consists in the herbs collection, as displayed in Fig. 5. This provision is possible to be done at local markets and in forests, where collaborators go and visit to find out the specific 5 required herbs, once or twice per month. As mentioned before, in order to make soaps with healing properties, it is required to use specific herbs, which are not very common to find in the area close to the manufacturer’s house. After this collection, the manufactures disposes herbs under the sun for the whole day, in order to make them dried. This process has to last no more than one day otherwise the herb properties will be lost. 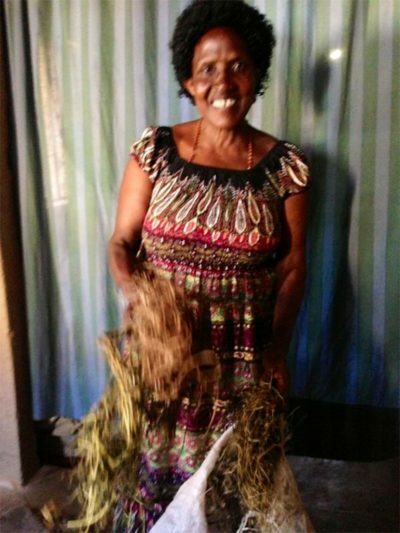 Subsequently, the producer puts the dried herbs inside her house, sheltered from light, and later she starts to break them by hand and reduce them in powder with the adoption of the mortar. After the mixture is ready, she adds water and oil, and works the mixture in order to make it dense enough to be disposed in the mould. The amalgam needs to lie in this mould for at least one week before the soap is ready to be cut and prepared for selling. To let the business be sustainable in the long term, it has to be well balanced with revenues streams. The cost structure of this business is characterised by variable and fixed costs, for a total amount of about 400,000 Ugandan schillings per month. Total fixed expenses comprise the workroom cost, which is low because it is owned by the manufacturer, and the salary of the collaborator, who helps her to collect herbs. This salary is about 40,000 Uganda schillings per person, each month. Considering variable costs, the most relevant items are raw materials. In fact, these fundamental elements are collected on the basis of their natural availability in forests and on the basis also of clients’ orders. The cost approximation for one month is about 200,000 Ugandan schillings. The last cost item, not less relevant than the other costs, is transportation. 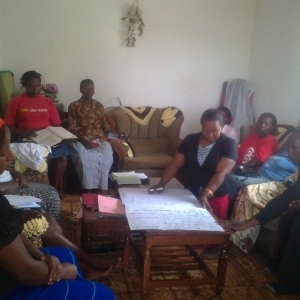 The entrepreneur supports costs to reach local markets to buy raw materials and sell finished products. This variable amount of item is about 160,000 Ugandan schillings per month. 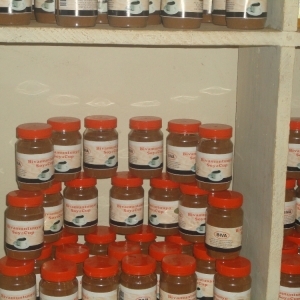 In order to evaluate the sustainability of the business and by considering the employment of one collaborators to fully satisfy the clients’ demand and collect required herbs, it is possible to set that the soap manufacturing business has good opportunities to survive and improve with a profit of about 200,000 Uganda schillings, per month.